Hong Kong Disneyland is going to host Halloween party from September 14 to October 31, during which all mischievous party lovers are invited to join over 40 Disney friends and villains in the best Halloween event ever. Dozens of activities and entertainment will be offered, including many specially made for families with kids. Go trick-or-treating with Winnie the Pooh and friends, who have put on their Halloween disguise for the first time, and get little treats with nifty tricks. Get ready for awe-inspiring resort experiences one after another, both day and night! 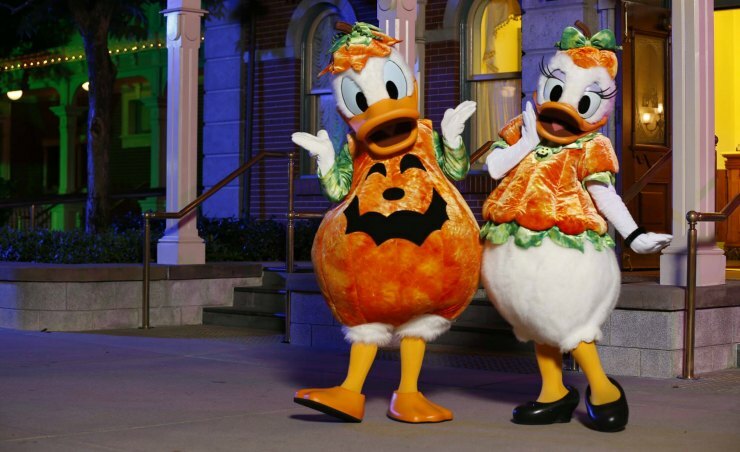 Hong Kong Disneyland’s most wicked Halloween party will get into full swing on Main Street, U.S.A., when Mickey and other Disney friends wearing their Halloween outfits rock out at Mickey’s Halloween Time Street Party. Mickey, Minnie and Goofy will appear atop giant jack-o’-lantern whirlies. Little guests can dress up as their favorite Disney characters or in Halloween costumes to take part in this Street Party and dance their hearts out. Guests can follow the simple dance steps with Mickey and friends, and even participate in an interactive session where they’ll toss around Halloween Time pumpkin balloons.